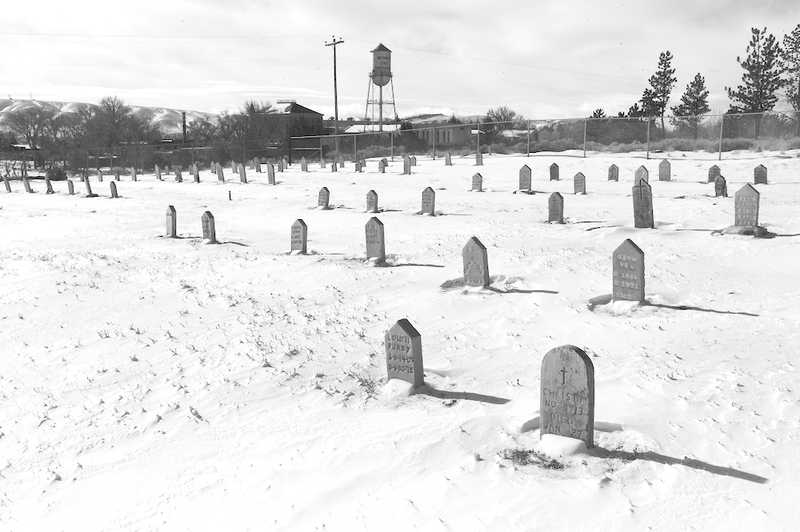 The graveyard at Wyoming’s first state penitentiary in Rawlins, now a museum and known as the Wyoming Frontier Prison, continues to serve the state. An inmate was buried there in 2018. The headstone in the foreground memorializes Walter Christy, inmate no. 1913. A sign at the graveyard says he was born in 1891 and died Jan. 27, 1922. Before closing in 1981, the prison housed roughly 13,500 inmates, including 11 women, over 80 years. Overcrowding was a nearly constant concern. The first addition of 32 cells was completed in 1904, three years after it opened, according to the prison museum website.